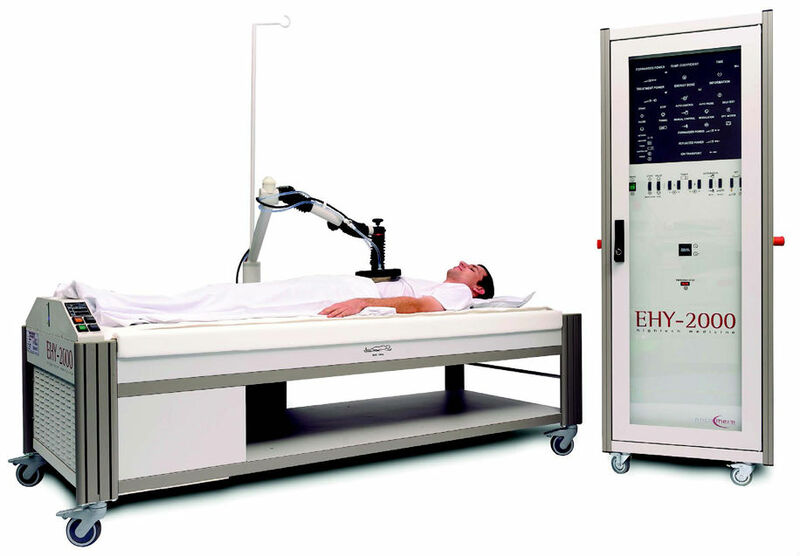 Oncothermia, i. e. modulated-electro-hyperthermia for oncological use, is a fast developing supportive, complementary treatment method against different types of tumors. The principles are based on the classical method of Hyperthermia, but our aim, besides the absolute increase in temperature, is especially the direct electric-field energy absorption in the extracellular liquid and destroying the membrane of the cancer cells. Oncothermia’s effect is synergic to radiotherapy and to numerous chemotherapies. Furthermore, it leads to an increased immunogenicity and effectively reduces the pain of the patient. Oncothermia in general is not used as a sole therapy. Usually it is combined with chemotherapy, radiotherapy or other therapies and their combination. The method transfers energy using the principle of capacitive coupling (like a condenser) of radio waves of 13,56 MHz. No external shielding is needed. Oncothermia utilizes the special absorption rate of the near-membrane extracellular liquid of the tumour. The tumor tissue has lower impedance than the surrounding tissues, so most of the energy is transmitted and absorbed by the cancerous lesion. This selection of the tumour tissues (self-focusing) renders external focusing unnecessary. Oncothermia as a monotherapy Cancer Case Studies: Rectosigmoid Cancer with Liver Metastasis, Hepatocellular Carcinoma, Pancreatic Cancer (3), Synovial Sarcoma, Adenoid Cystic Carcinoma, Lung Cancer (3), Bladder Cancer, Ovarian Cancer, Stomach Cancer (2), Rectal Cancer, and Renal Carcinoma.